Let’s take a moment and recognise the greatness of Canada. If the three countries of North America were siblings, Canada would be the shy, polite one—ignoring the family dynamic, keeping her head down, and quietly succeeding at life while the other two loudly fight about old wounds and perceived slights. And then let’s give a shout to one of Canada’s most successful tech companies of this decade, Redbrick. Unless you were an independent software developer trying to sell your products, you probably haven’t heard of them. But, in very Canadian fashion, they’ve quietly lived the Silicon Dream since their founding. 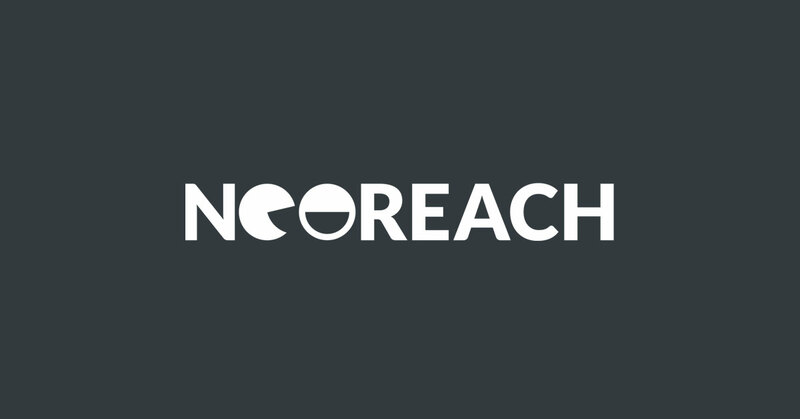 The 2011 launch of their software distribution and optimisation platform was a resounding success, and the company has made moves in the last couple of years to accelerate their growth through the acquisition of—and investment in—other tech companies. Their current technical portfolio is a diverse one, and at first glance the launch of Assembly last month could give the appearance of a successful company throwing its money at the latest fad. The truth is, though, Assembly has more in common with the software distribution platform that Redbrick was founded on. To get developers’ creations in front of users, Redbrick relied on an affiliate marketing model. Sure, this isn’t influencer marketing specifically, but they require a certain skill-set and knowledge of digital marketing in general. Consider, too, that their flagship product also provided in-depth insights and analytics to developers as a means to help them optimise their software for a better user experience. Data analytics play a huge part in influencer marketing—or, at least, the management of influencer marketing campaigns—and so this is another area where Redbrick’s past experience informs Assembly’s present one. 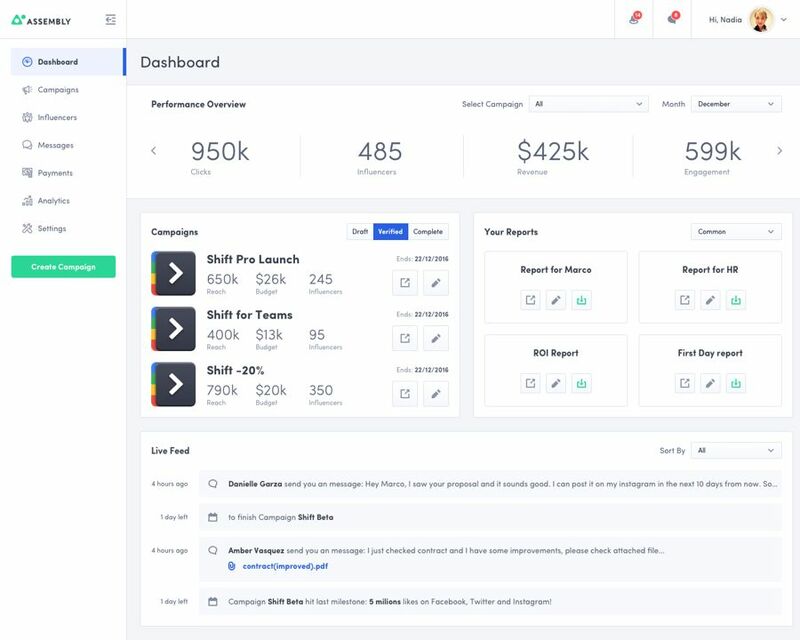 What this all adds up to is a rock-solid campaign management platform packed with nearly every feature a marketer could want. That Assembly is so robust shouldn’t be a great surprise: influencer marketing platforms have been around long enough that we all have a good idea of what they should contain. And a software company with a track record like Redbrick is exactly the sort of company that one would expect to be up to the task of getting it right the first time. And while Assembly isn’t necessarily innovating the space, they do seem to be on the path toward perfecting it. But there are two aspects of the platform that do set it apart from its competition, the first of which we’ll cover in the next section. Usually, a platform with the same capabilities as Assembly targets agencies and large brands, and the pricing reflects that target market. Assembly’s target users are no different—agencies and large brands are a natural fit, of course—but they’ve priced so that almost any sized company can take part in the fun. They offer a free, 15-day trial, and after that customers can choose one of three subscription levels. Growth, $199/mo — The most basic of their plans puts no limit on the amount of influencers you can manage through the platform. 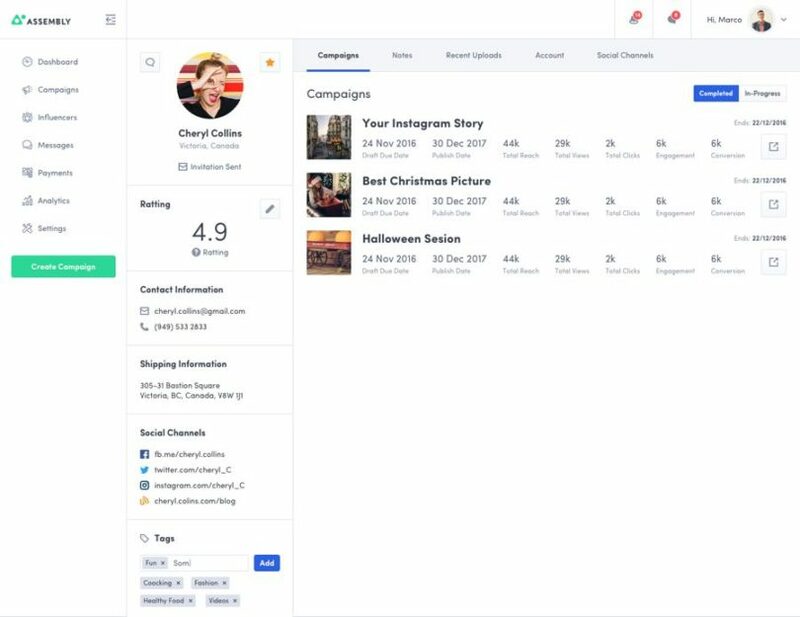 You can manage up to 2 campaigns at a time, collaborate with up to 5 team members, and pay influencers within the software. Agencies can add up to 5 brands they’re managing (and brands can just ignore this feature). For campaigns that are designed to get the audience over to some other supporting collateral (like a website, or video, or product page), Assembly tracks up to 100,000 clicks for inclusion in the reporting. Growth subscribers also receive 1 hour of training. 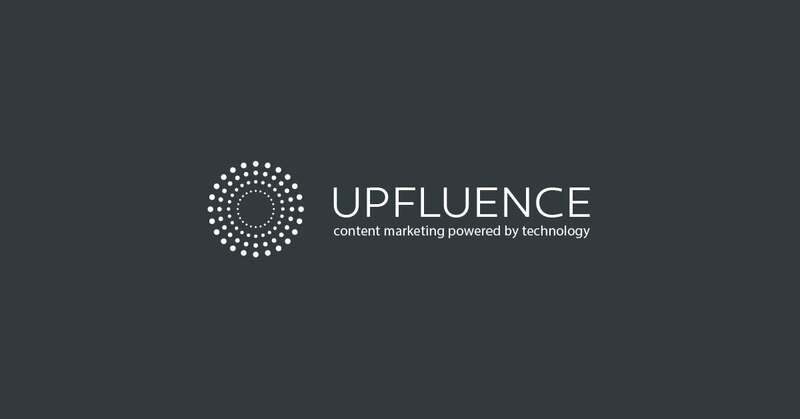 Pro, $299/mo — Unlimited influencers, up to 10 campaigns, unlimited team members, unlimited brands, in-app payments to influencers, up to 250,000 clicks, and 5 hours of training. Enterprise, $499+/mo — With this level of service, there’s no cap on influencers, campaigns, team members, brands, influencer payments, or training, and you get a 24/7 dedicated account manager. Like Pro, tracking of up to 250,000 clicks is included, but here you do have the option of tracking beyond that (and paying more for your monthly payment accordingly). The biggest draw here, though, is the ability to white-label the platform and make it look in-house official. Actually, more than in-house official: the platform is redesigned to appear like a seamless part of the user's online presence with a logo and matching color schemes. Additionally, there's a custom domain for access, and all tracking URLs are similarly branded. Any of these plans are offered at a 15% discount if paid for annually. Assembly is a bring-your-own-influencer platform; there’s no search function for finding new talent to work with. Instead, the expectation is that agencies and brands who sign on to the platform are already working with a roster of influencers and need a centralised way of managing them. Influencer discovery isn’t the point of Assembly, though I would have liked to see a way for people to search through any of the influencers that have been added by other Assembly users. As more customers sign on, Assembly’s database of influencer profiles has the potential to grow quite a bit—the platform is already home to thousands of influencer profiles, despite just having launched—and it seems like a no-brainer to add a search function just for the people that customers are bringing on board. To be fair, the Assembly team has designed it without this feature on purpose: they are a campaign management platform above all else and want their customers to feel secure that the talent they bring to the table isn't going to be poached by competitors. So I'll just suggest that they look into ways of opening up their database platform wide while enforcing no-compete policies, which other platforms do. I think this would make Assembly more attractive to potential customers and influencers. But if they don't do this? Assembly is still a great campaign management tool with plenty to offer their customers. In any case, when you first log on you can import your list of influencers by way of a CSV or XLS file (or just add them in one at a time). Once all the names and contact info are imported, you can create an email that blasts out to everyone inviting them to join the platform. Influencers have to sign on to Assembly and authorise it to connect to their social accounts in order for the platform to have access to their data. Once the data has been pulled in, agencies and brands can get insights into their audience, posts, and performance metrics. It’s only a little bit cumbersome for a setup, but these extra steps are worth the effort. One everyone is logged on, Assembly really starts to shine. As an all-in-one collaboration tool, the platform is pretty hard to beat. 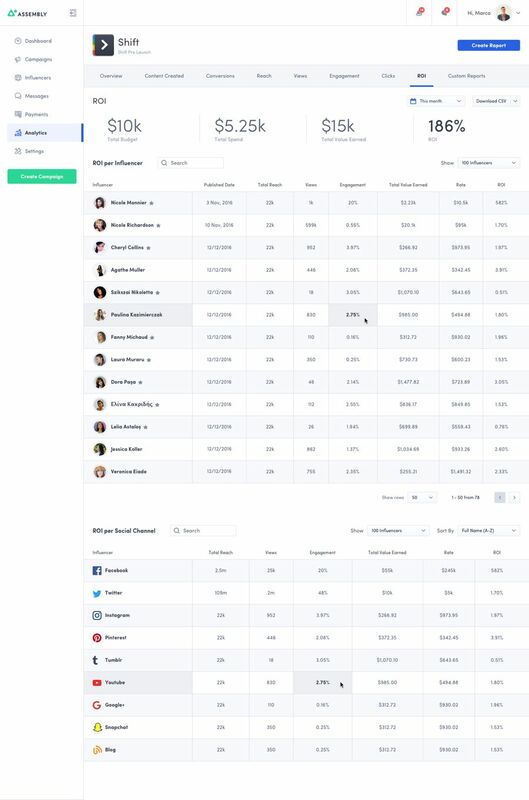 An influencer dashboard gives you an at-a-glance understanding of each person’s topics, reach, and performance, by channel. Communications are centralised—between agencies, brands, and influencers, and any combination thereof. 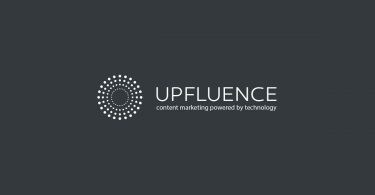 It’s a breeze to manage each influencer and see where they are in relation to any campaigns you’ve created. Are you waiting for them submit content? Are they waiting for you to approve it? Have they published it? The interface is easy to navigate and filled with information (but never feels cluttered). Campaign creation is also very easy, and allows you to identify what the goals for the campaign are, which can influence the reporting you receive. For campaigns meant to drive sales, or acquire newsletter subscribers, or anything that else that requires a click for a conversion, Assembly generates tracking URLs so it (and you!) will have exact measures of a campaign’s efficacy. You can track any of this information by influencer as well as campaign-wide. This is important for marketing at scale like this: your overall campaign might have been a success, but dig deeper and you may find a few influencers who didn’t earn their pay. That’s good intel for the time you’d want to use them, knowing that they aren’t worth what you paid last time. As for payment, Assembly’s ability to centralise this part of the equation eases the burden for agencies and brands. Everyone’s got their preference for how they like to be paid, and the people doing the paying don’t want to bother with a dozen different platforms. With Assembly acting as the payment engine, that problem is solved. Influencers can receive their funds however they’d like, and the agencies and brands only have to manage one platform to pay them all. There’s a 5% fee that’s charged on top of the payments (incurred by the agencies and brands—influencers pay nothing), which obviously adds cost but there’s value to that cost in the form of easy management. There’s nothing that requires users to pay through the platform, but that option is there if they need it. And they can still use the platform to track payments made elsewhere—it requires a manual intervention (i.e. logging in and updating the payment status) but is worth the effort to keep all the information in one place. Finally, all this talk of money brings me to one of Assembly’s key differentiators: their budgeting feature. 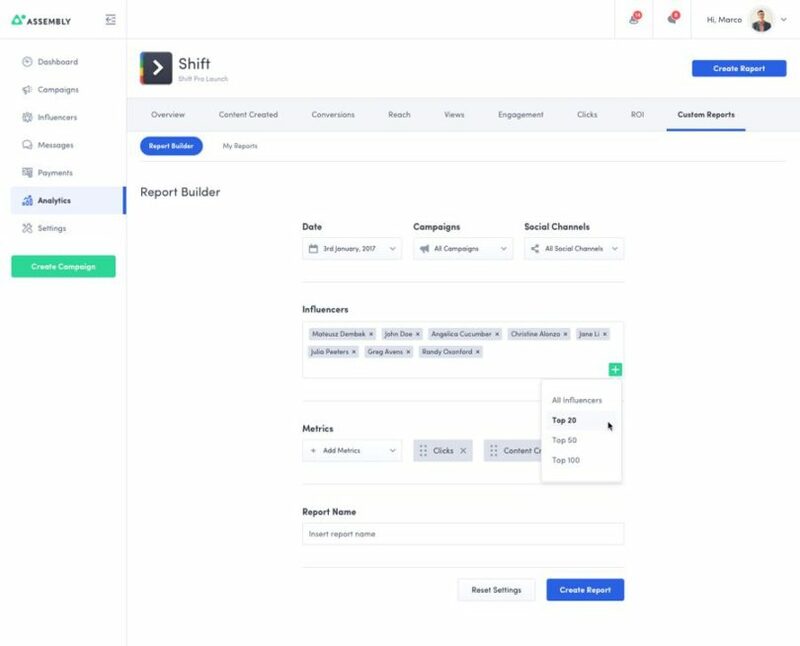 Assembly does a great job of ensuring that campaigns stay on budget, tracking expenditures and payments to influencers, making it super simple to see where you’re at any given moment. It can also factor in a variety of different ways you’re paying your influencers and update the budget accordingly. You could be paying them a flat rate for content, offering free products, or giving them coupons—Assembly helps you stay on budget regardless of the method. Oh, and they’ve also added functionality that completely changes the game in terms of influencer payment methods. Influencer marketing’s biggest criticism over the last couple years—and something that’s been turning some companies off to it—is that there are no standards by which influencers are paid. Often, flat fees are based off metrics like reach and engagement. Just like television commercials cost more during popular sporting events, influencers with large and loyal audiences have been charging a premium for their content. But are they really worth what they say they are? To address this, Assembly’s added two other performance-based methods of payment: cost-per-click (CPC) and cost-per-sale (CPS, also known as a sales commission). 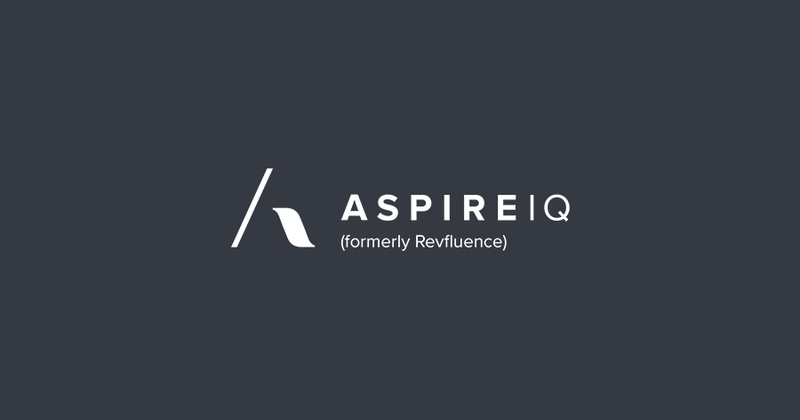 This is where Redbrick’s affiliate marketing expertise comes into play, as their past work there is easily adapted into the influencer marketing landscape. It’s not that the idea of CPC or CPS are new, but Assembly’s able to track it down to the penny and handle all the calculations, so brands don’t have to. With this, influencers wlll finally be paid for the value they bring and not simply for their popularity. And that’s good news for the industry. Though barely a month old as a public offering, Assembly has all the maturity of a platform that’s been doing it for years. It was obviously—well, assembled with thought and care and that shows. Still, I’m going to have to take this moment here to point out that, like many of their competitors, the developers of Assembly didn’t do enough towards easing FTC compliance. 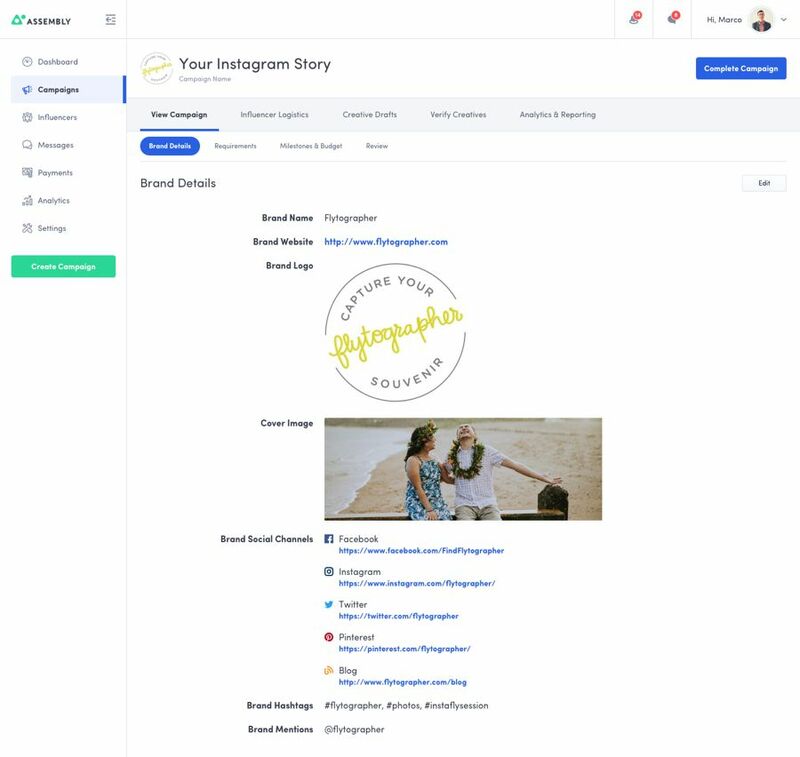 They didn't completely ignore this—they included compliance fields to fill out when customers create and define the requirements for influencer-submitted content. Ultimately, though, enforcing that is left to the marketers themselves, which is not as reliable as automatically enforcing the use of even one #sponsored hashtag. Compliance and transparency are very real issues, and they've become even bigger as Assembly was being beta tested and refined. That the platform is so young is good news, though. There will obviously be more features to come, and a vocal user base demanding something specific tends to get things done. The good news for Assembly is that it’s the kind of tool that ought to attract a large user base. They’ve laid a great foundation with a platform that rivals any of the other top players in this space, but at a fraction of the cost. It’s rare to find a platform that can serve boutique agencies and small businesses just as well as large multinationals and their in-house marketing teams. My prediction? People will assemble.